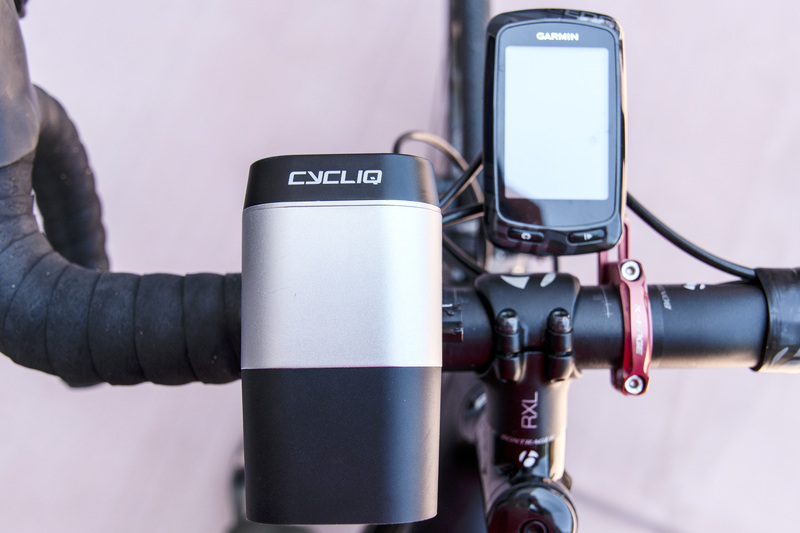 Australian company Cycliq made a name for itself with the Fly6, its first Kickstarter project, a rear taillight and video camera combo for bicycles. The Fly6 didn’t work for me because of the need to mount the device on a seat post, which would have meant going without my seat bag. Still, the idea of a safety-oriented video camera with onboard lighting looked like a good one. The Fly6 proved quite successful, garnering positive reviews and selling fairly well, even at its steep $170 price tag. So when Cycliq launched a second kickstarter for a combo headlight and action camera, I bought in. Given the company’s track record, I felt safe in believing that Cycliq would come through. Getting in on Kickstarter also meant saving $100 off the final retail price. The light arrived a few weeks ago, but various ailments and other issues prevented me from doing much riding. I finally got a chance to mount the Fly12 and take it for a few spins. First, the details. 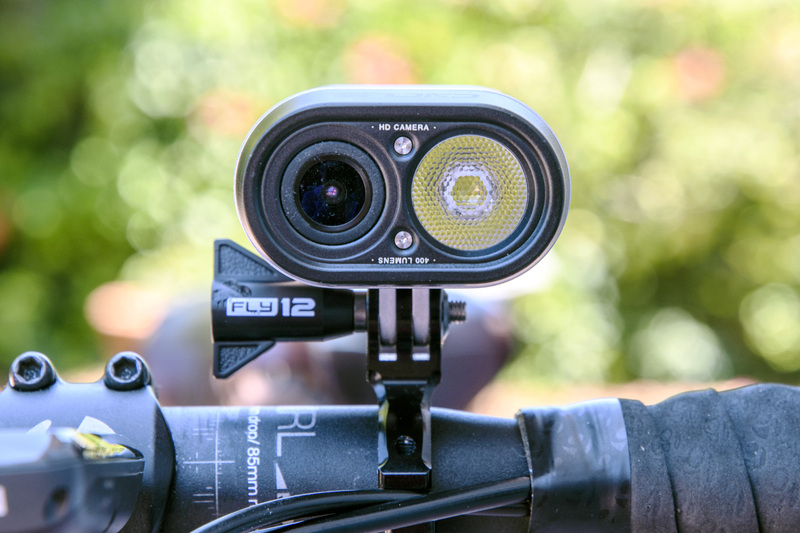 The Fly12 incorporates a 400 lumens headlight with three brightness and one flashing mode. The flashing mode can be enabled for any of the brightness levels. The light defaults to a triple flash, pause, triple flash mode which makes your bike quite noticeable in traffic. At its full 400 lumens while actively recording video, Cycliq rats the battery at 10 hours. Given that the Fly12 ships with a beefy 4400mAH battery, it’s no surprise that battery life is good. Cylcliq designed the Fly12 for control simplicity; the gadget has just two buttons — a combo power button and another button which enables WiFi. Since WiFi can drain the battery, it’s off by default, but Bluetooth remains on. The company includes a 16GB micro-SD card for recording video. When you first power up the device, the camera starts in 1080p/30fps mode. If you want to change modes, you can either edit a config.txt file on the micro-SD card or use the Cycliq iOS app to make changes (no Android version currently exists, though one is promised). However, that massive battery is also something of an Achilles’ heel; the Fly12 weighs in at a substantial 344g (8.6oz). The GoPro Hero black with protective housing weighs in at 147g and Cateye Volt 300 light I normally use weighs 120g. That puts the GoPro / Cateye combo at 267g, or 77g less. Giving up the protective housing — a relatively safe bet in northern California — reduces the overall weight of the GoPro to 83g, or 203g total. It’s not just weight, however, but bulk. I mounted the Fly12 on the GoPro-style mount atop my handlebars. You can see the size relative size compare to the Garming 810 GPS bike computer just below. 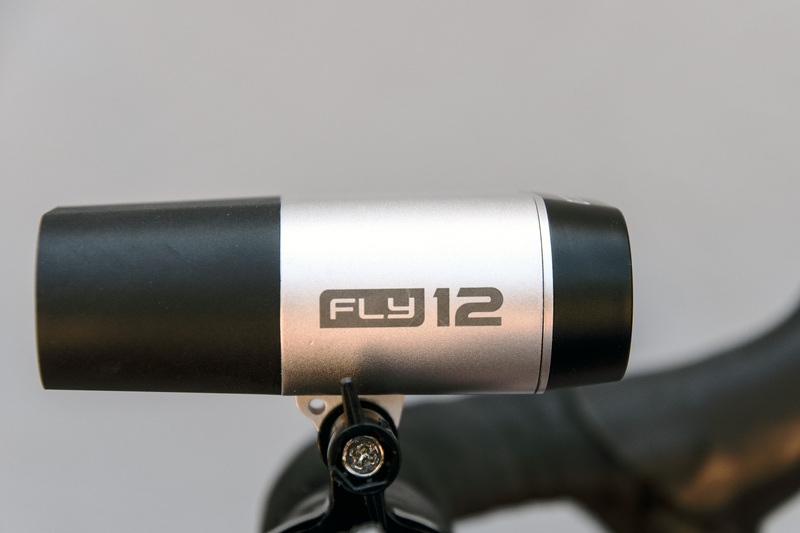 The Fly12 extends a substantial distance behind the handlebars; I found myself grazing the light with my knees when standing out of the saddle to accelerate or climb a hill. This can be simply mitigated by simply mounting the Fly12 underneath the handlebars, provided cabling doesn’t get in the way. Video quality looks fine at 1080p / 30fps to my eye, if a little on the soft side, but I don’t really have footage from other action cameras to compare. The camera supports 720p 30 and 60fps and 1080p 30 and 45fps. I could probably live with all of these issues, but one problem I encountered gives me pause. When you fire up the Fly12 and start riding, the entire device — both camera and light — occasionally just shuts down for no apparent reason. This happened on two different rides at random times, during mild weather and full battery charge. 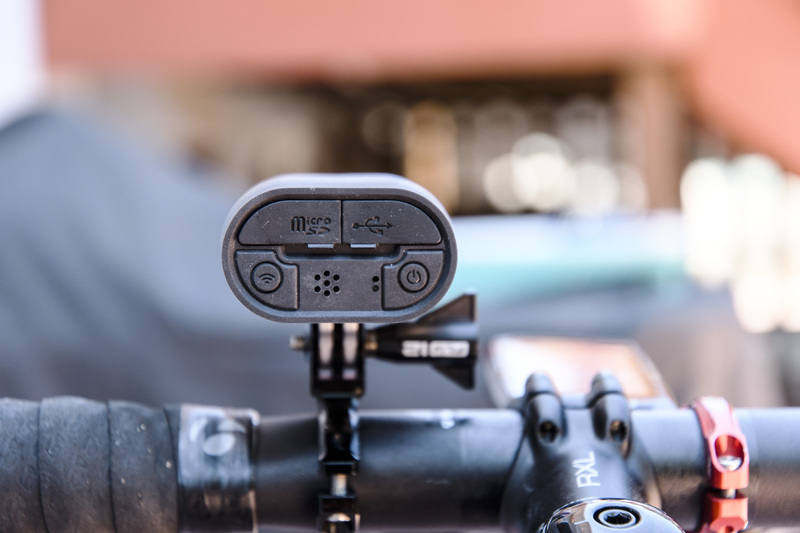 Given that Cycliq positions the Fly12 as more a safety device — recording possible accidents in real time — than an action camera, I need to be able to trust it. The one firmware update that auto-installed when I first powered up the device has not solved this problem. So the Fly12 comes off for the time being, but I’ll track the user forums and firmware updates to see if the intermittent shutdown issue gets solved. Until then, I’d urge caution if you’re thinking about buying this. The Fly12 has a lot of potential, but until I can trust it to remain running consistently when I’m out riding.